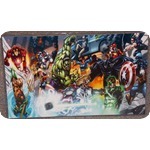 Marvel Avengers vs DC Justice League Glossy Print In Hard Plastic Sleeve. This will make a nice display and is a must have for any fan!! Take a look at the picture to see the print you will receive. If you have any questions please ask. Also take a look at my other items for more Prints, Toys & Collectibles!! 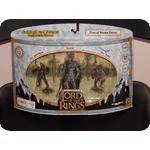 Limited Edition Lord Of The Rings 8 " Legolas Pewter Amalgama Figure With The Box. Figurine is #1826 of only 5000 made!! If you look at the pictures the figurine is gold. All the other versions I looked up are a silver pewter color. This might be a rare version, not sure. Take a look at the pictures to see the exact item you will receive. if you have any questions please ask. Also take a look at my other items for more great Collectibles!! 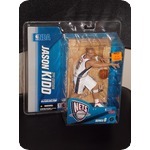 2005 McFarlane Toys NBA New Jersey Nets Jason Kidd Figure New In The Package. Take a look at the pictures to see the exact figure you will receive. If you have any questions please ask. Also take a look at my other items for more Toys & Collectibles!! 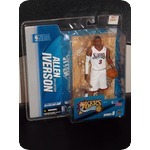 2005 McFarlane Toys NBA 76ers Allen Iverson Figure New In The Package. Take a look at the pictures to see the exact figure you will receive. If you have any questions please ask. 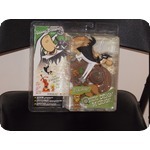 Also take a look at my other items for more Toys & Collectibles!! 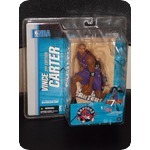 2004 McFarlane Toys NBA Raptors Vince Carter Figure Purple Jersey New In The Package. Take a look at the pictures to see the exact item you will receive. If you have any questions please ask. Also take a look at my other items for more Toys & Collectibles!! 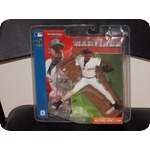 2002 McFarlane Toys MLB Series 1 Pedro Martinez Boston Redsox Figure New In The Package. Take a look at the pictures to see the exact figure you will receive. If you have any questions please ask. Also take a look at my other items for more Toys & Collectibles!! 2006 McFarlane Toys Hanna-Barbera Series 1 Quick Draw McGraw & El Kabong Figures New In The Package. Take a look at the pictures to see the exact figure you will receive. If you have any questions please ask. Also take a look at my other items for more Toys & Collectibles!! 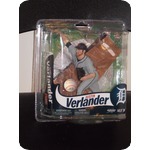 McFarlane Toys Detroit Tigers Justin Verlander MLB Figure New In The Package. Take a look at the pictures to see the exact item you will receive. If you have any questions please ask. 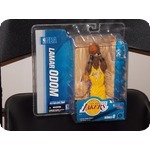 Also take a look at my other items for more Great Collectibles!! 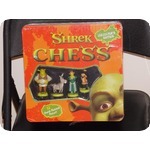 2004 Dreamworks Shrek Chess Set Collectors Edition Tin Box Set NIB Sealed. Take a look at the pictures to see the exact item you will receive. If you have any questions please ask. Also take a look at my other items for more great Collectibles!! 2004 Lord Of The Rings Armies Of Middle Earth Fires Of Mount Doom Set New In The Box. Take a look at the pictures to see the exact item you will receive. This would make a real nice display and a great addition to your collection!! If you have any questions please ask. Also take a look at my other items for more Toys & Collectibles!! 2005 Master Replicas Star Wars Revenge Of The Sith Anakin Skywalker Lightsaber Replica .45 Scale New In The Box. Take a look at the pictures to see the exact item you will receive. If you have any questions please ask. 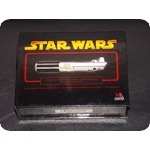 Also take a look at my other items for more great Star Wars Collectibles!! 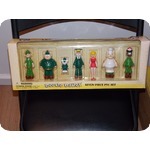 Beetle Bailey 7 Piece PVC Set New In The Box. Take a look at the pictures to see the exact item you will receive. Box has a dent in the back but still displays well. If you have any questions please ask. Also take a look at my other items for more Toys & Collectibles!! 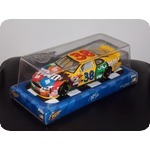 2002 Winners Circle Elliott Sadler M&Ms Car 1:24 Scale New In The Box. Take a look at the pictures to see the exact item you will receive. If you have any questions please ask. Also take a look at my other items for more Toys & Collectibles!! 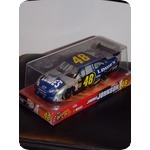 2008 Winners Circle Jimmie Johnson Lowes Car 1:24 Scale New In The Box. Take a look at the pictures to see the exact item you will receive. If you have any questions please ask. Also take a look at my other items for more Toys & Collectibles!! 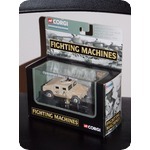 2003 Corgi Fighting Machines Operation Desert Storm US Army Hummer Utility Vehicle New In The Package. Take a look at the pictures to see the exact item you will receive. If you have any questions please ask. Also take a look at my other items for more Toys & Collectibles!! 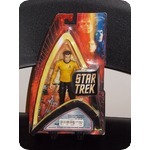 2004 Art Asylum Star Trek Battle Ravaged Captain Kirk Figure New in the Package. Take a look at the pictures to see the exact figure you will receive. If you have any questions please ask. Also take a look at my other items for more Toys & Collectibles!! 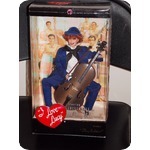 2007 I Love Lucy The Audition Doll New In The Box. Take a look at the pictures to see the exact item you will receive. If you have any questions please ask. Also take a look at my other items for more Dolls, Toys & Collectibles!! 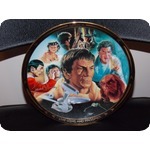 1997 Star Trek "Life Of Spock" Spock reborn Collector Plate. This is a must have for any Star Trek collector or fan!! Take a look at the pictures to see the exact item you will receive. If you have any questions please ask. Also take a look at my other items for more great collectibles!! 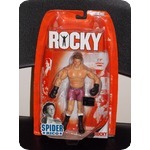 2006 Jakks Pacific Rocky Training For Apollo Creed Figure New In the Package. 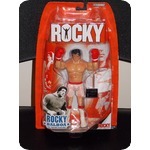 This is a must have for any Rocky fan!! Take a look at the pictures to see the exact figure you will recieve.If you have any questions please ask. Also take a look at my other items for more Toys & Collectibles!! 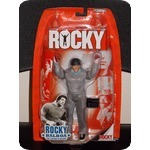 2006 Jakks Pacific Rocky Balboa "The Italian Stallion" Battle Damaged Figure New In The Package. Take a look at the picture to see the exact figure you will receive. If you have any questions please ask. 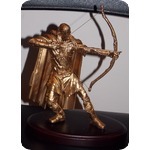 Also take a look at my other items for more Toys & Collectibles! !